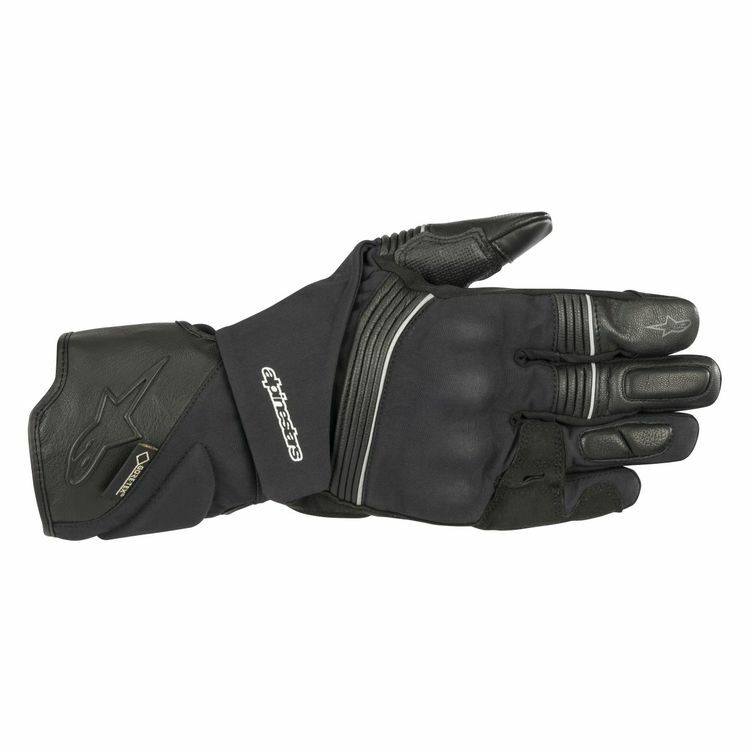 The Alpinestars Jet Road V2 Gore-Tex Gloves are a mixture of textile, leather and Gore-Tex waterproofing for a touring glove that keeps your hands dry and warm in cool wet weather. PrimaLoft lining provides just the right amount of thermal insulation for moderately cold temperatures, perfect for those chilly days when a bulky winter glove is overkill. Goat skin leather on the palm and thumbs resist abrasion and provides excellent tactile feedback. Leather accordion stretch sections and stretch textile on the fingers allow free range of motion so you can easily reach for the levers. Polyurethane coated reinforcement panels on the high wear palm and thumb areas improve durability. Knuckle protection lays underneath textile material for a subdued, yet protective look.